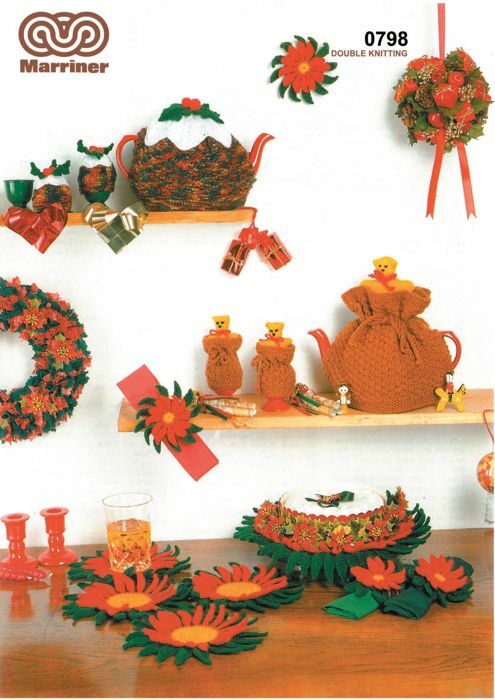 These Christmas novelties are knitted and crocheted in Double knit yarn. 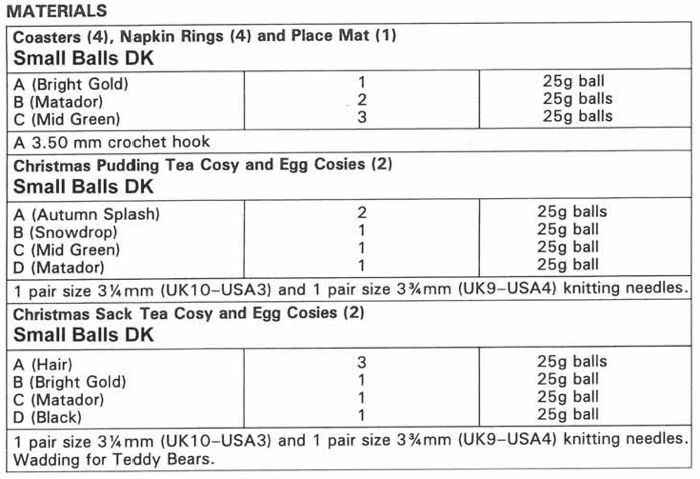 The set consists of coasters, pudding tea cosy, sack tea cosy, egg cosies, placemat and napkin rings. The coasters, placemat and napkin rings are all crocheted and the tea and egg cosies are knitted.